Another win for JL Fields' new cookbook, Vegan Pressure Cooking, with her Chik'n Lentil Noodle Soup. This is not your mother's chicken soup. In fact, there isn't even faux chicken in it, which makes me happy because I'm really getting away from the faux meats. 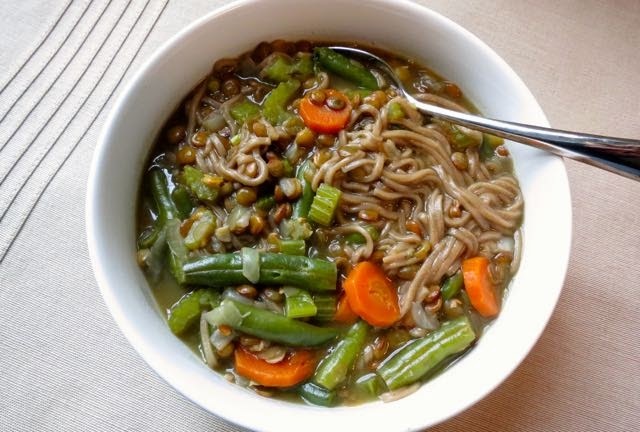 This is vegan udon noodle soup with green beans, carrots, and celery all wrapped up in brown lentils and seasoned with poultry seasoning. 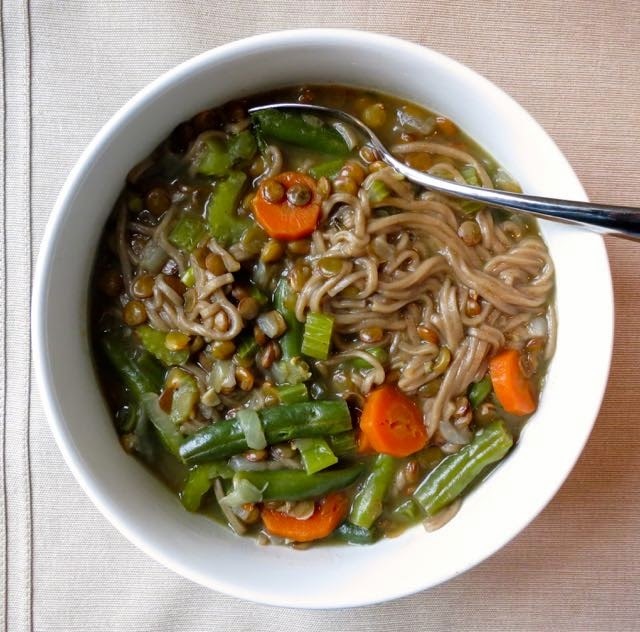 It's all the goodness of a brothy noodle soup with the heartiness of lentils. No faux chik'n needed! Feel free to add jalapenos for additional spice! In an uncovered pressure cooker, heat the oil on medium-high. 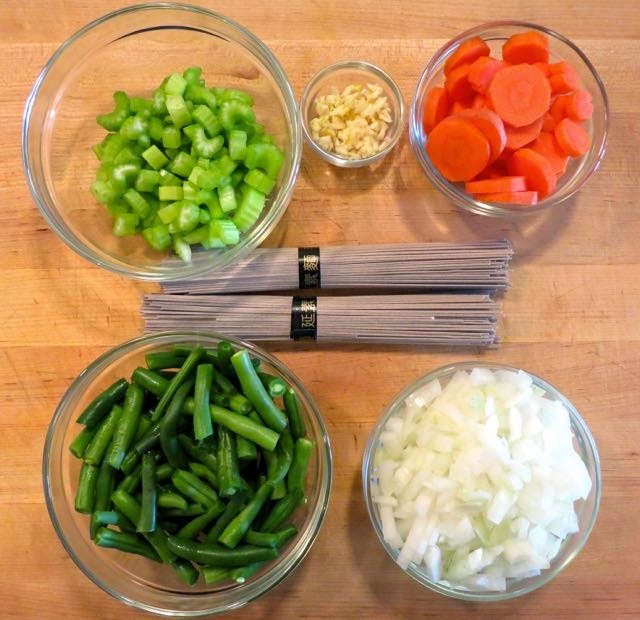 Add the garlic, onions, green beans, carrots, and celery and saute for about 3 minutes. Add the chicken-flavored seasoning, bay leaf, and sage and saute for another 2 minutes. Add the lentils, noodles, broth, and water. Stir to combine. Cover and bring to pressure. Cook at high pressure for 8 minutes. Use a quick release. Sample both the lentils and noodles. If they are not cooked through, simmer on low in the uncovered pressure cooker until done, adding more water if necessary. Remove the bay leaf before serving.